Note from PC Pitstop: We recently asked our TechTalk contributors to recommend a favorite FREE application or tool that they currently use. This post is the response from Windows Talk. I have used a lot of ‘zip’ or file compression programs over the years, but the one I use these days is the free, open source 7-Zip program. True, Windows has its own built-in compression program, but sometimes you may want a little more control over your options, such as the amount of compression, as well as some other refinements. Here you can control the amount of compression, split the compressed file to fit over multiple media and even choose to encrypt the compressed file with a password. You cannot do any of this with Windows’ Compressed Folders! free software, Windows Talk file compression software, freeware, zip utility. permalink. As a free compression tool, it is the best, but overall, not so much. I personally find WinZip to be the best on the market of all file compression software. I tried a lot of file compression tools, but than I ran across this guide: http://www.winzip.com/learn/file-compression.html and learned about WinZip, which I still use today and wouldn’t change. I was going to install 7-Zip, but the program is loaded with other unwanted programs from uniblue and other software vendors. After trying to get past all the unwanted software being pushed at me, which has nothing to do with a compression program and which I didn’t ask for, I became concerned and quit the installation of 7-Zip. How can a reputable organization like PC Pitstop allow people to recommend nonsense like this on their site? This is coming from a fan of WinZip for many years. 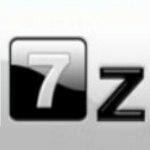 7-Zip by far is the best zip program that I know of, not saying it's the best because I'm sure there is something more superior than 7-Zip. But for what I need it for it is excellent in all categories, makes me a tad bit shame that I was paying for the same thing 7-Zip does for absolutely free. I beg to differ. I’ve used many compression programs, including 7-Zip, and much prefer ZipGenius, which is also free. ZipGenius handles 27 different types of compression types with ease. I also find it more intuitive to use than any other compression program. Take a look at it and you’ll see what I mean. My Norton Security stopped me from downloading 7Zip alerting me to the possibility that it could be hazardous to my system. What gives?